Glitzy niche models lift brand -- but sales? Cadillac chief Johan de Nysschen says tight supplies of the Escalade keep demand taut and pricing firm. DETROIT -- The CT6 that debuts in New York this week will be one of the lightest big cars around. Yet it will bear much of the weight of Cadillac's brand-revitalization plan. When the sedan hits showrooms late this year, it will be the most recent in a string of expensive, niche models for Cadillac. Three tire-shredding V-series cars arrive by summer: an ATS sedan and coupe and a CTS sedan. Those follow last year's long-awaited redesign of the Escalade, the luxury SUV that dealers can't get enough of and for which buyers are plunking down an average of $83,200. All fun, flashy stuff -- but here's a question: Why is a brand badly in need of a sales boost fixated on all that low-volume sheet metal? 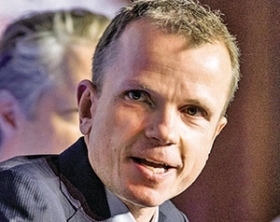 The answer lies at the heart of Cadillac boss Johan de Nysschen's strategy, which relies on premium pricing and wider profits built around scarcity rather than volume. Cadillac execs believe that sales success for luxury brands flows from the top down, with desirable, high-end products setting the table for success at the meat-and-potatoes end of the lineup. The more exotic entries, the thinking goes, will change consumers' view of Cadillac. "The brand needs some elevation before we can discuss the next step of expansion," Cadillac marketing chief Uwe Ellinghaus told Automotive News last week. "We have growth aspirations, no doubt. But let us first increase the brand strength." Cadillac dealers are happy to be getting any new entries, given how small Cadillac's lineup is. But many have concerns about how long it will take to reverse the recent slump. "The V's and the CT6 are going to be great for the brand," said Howard Drake, owner of Casa de Cadillac in Sherman Oaks, Calif., and chairman of the Cadillac National Dealer Council. "But dealers still have to reconcile that with meeting our sales forecast for 2015," which is roughly equal to last year's tally. Cadillac has tried it the other way around in recent years, attempting to transform the brand's image through vast improvements to its volume nameplates. The ATS compact, launched in 2012, and the redesigned CTS midsize sedan introduced in 2013 have been lauded by automotive critics. But Cadillac hasn't been able to entice enough buyers to pay close to the prices it is charging for those cars. The result has been overproduction, swollen dealership lots, deep discounts and erosion of resale values. 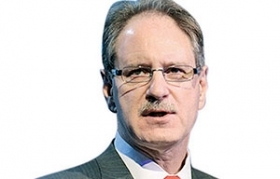 The top-down product strategy proved to be a success at Audi, where de Nysschen, as president of Audi of America for nearly eight years until 2012, helped build the brand from also-ran status to prominence. Russ Hill, an industry consultant who was director of sales for Audi of America from 1994 to 2004, says well-received niche vehicles, such as the TT roadster and RS high-performance line, were a major factor in burnishing Audi's image. "Those are big emotional lifts that validate in the marketplace what your engineers and designers think your brand is capable of," Hill said. "After that, you bring that same thinking into your volume products." De Nysschen says the Escalade shows the merit of the top-down theory. The average transaction price on the luxury SUV this year through mid-March was $83,200, General Motors says -- up from $69,000 in 2013, the last full year of sales for the previous generation. 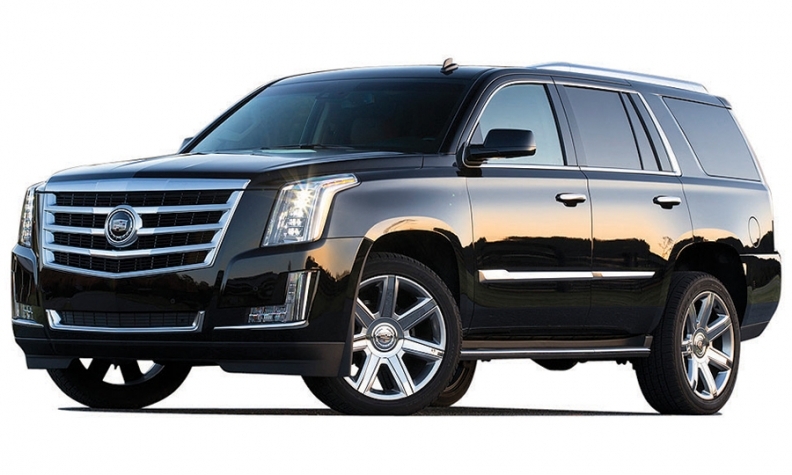 Dealers have said that lush Escalade profits have eased the sting of Cadillac's sliding sales. "They're happy with the Escalade profits because they can't get enough" Escalades, which keeps demand taut and pricing firm, de Nysschen told Automotive News in January. "We should make that the case for all of our cars." Dealer Carl Sewell, whose Sewell Automotive Cos. of Dallas has five Cadillac stores and also sells Audi, Infiniti and Lexus vehicles, is confident in de Nysschen's approach, having seen a similar strategy play out at Audi. Still, Sewell said, "dealers are an impatient lot. We'd like to have everything that he wants, but tomorrow."